You may have to reboot after installing xscreensaver. I wrote how to use SSL connection string using JDBC driver in my previous blog. I deployed the code on the Unix server from Windows 7 pc and I got RSA premaster secret error. I figured it out after banging my head on the wall for couple of days. I had to explicitly use sunjce_provider.jar file name on the class path. First of all, need to get the self-signed certificate from database administrator and install/import to the following path. How to install jdbc4 driver to local maven repository? 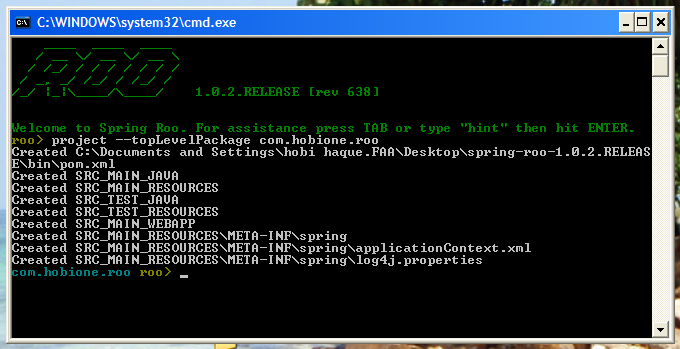 To add the jar file in pom.xml since Microsoft don’t make this available via any maven repository. Download the jar from the Microsoft website, and then manually install it into local maven repository using following command. 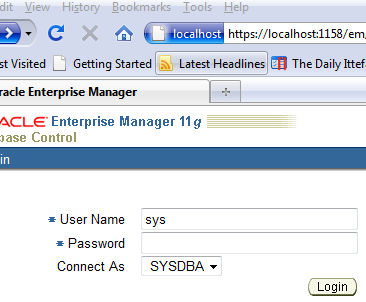 How to setup jdbc ssl connection string for MSSQL server 2012? Pay attentions on slashes (forward slash vs backward slash: before server name, it has forward slash but after the server name there are two back slashes). I also had to use full server name instead of an ip address. I was able to connect to the SQL server after few days of hard work. How to list all certificates in cacerts file? 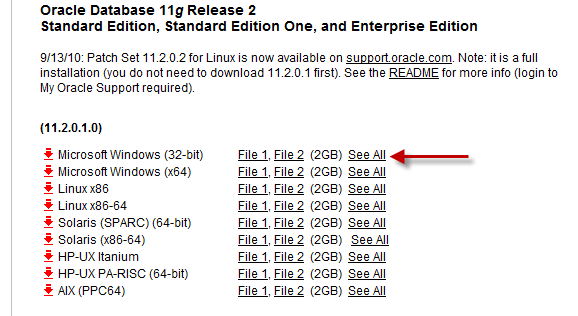 I have downloaded two zip files for Oracle 11g release 2 from Oracle site as follows. Unzipped ’em and ran setup.exe from \win32_11gr2_database_1of2\database\setup.exe and got zillion of file not found errors as follows. Anyway, after fiddling with some times, I found out that the two zip files I have downloaded, needed to combine together to solve file not found errors. So I copied win32_11gR2_database_2of2\database to win32_11gR2_database_1of2\database to merge two database directories and here is the login page for Oracle 11g r2 after a successful install. A video that I found to show step by step but it does not say to combine two zip files if you download the the software from web. // Parse a comma-separated list of email addresses. Be strict. The Louvre Museum has 8.5 million visitors per year. This blog was viewed about 93,000 times in 2010. If it were an exhibit at The Louvre Museum, it would take 4 days for that many people to see it. In 2010, there were 4 new posts, growing the total archive of this blog to 69 posts. There were 17 pictures uploaded, taking up a total of 738kb. That’s about a picture per month. The busiest day of the year was May 6th with 411 views. The most popular post that day was jQuery-ThickBox (Launch thickbox onload instead of onclick). The top referring sites in 2010 were sitepoint.com, coderanch.com, google.co.in, google.com, and draptik.wordpress.com. Some visitors came searching, mostly for tb_show, com.sun:tools:jar:1.4.2, thickbox onload, java.lang.classnotfoundexception: org.springframework.web.context.contextloaderlistener, and facesmessage. Scenario: You have a maven project and you want to tie with IntelliJ 9 to make it part of IDE built-in commands instead of using command line interface. Pre-requisite: Need to read Maven Jetty-Plugin User Guide. You also should have a pom.xml file directly under the project. Now, open up the IntelliJ. 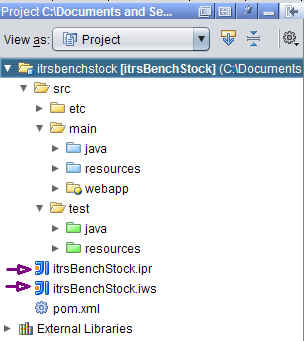 Go to File –> Open Project and choose the pom.xml file to bring the project into Intellij and here how it looks. Notice, Idea has created few extraneous files like .impl, .ipr and .iws. 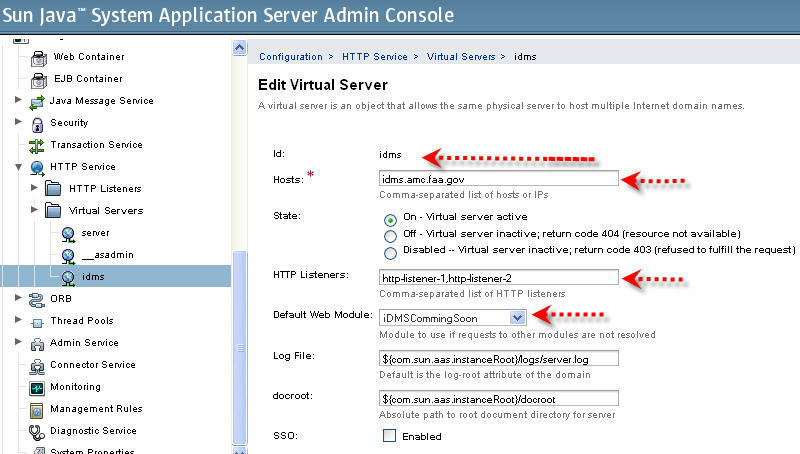 How to configure Run command? Application is ready to run by click the play button. It should shows the Build option to the IDEA drop down. Choose the Build option and click the play button. 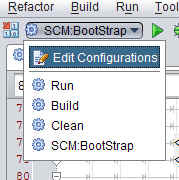 How to configure scm bootstrap? Hopefully, this post will help me to remember and configure all my future apps with maven jetty-plugin in IntelliJ Idea. I have just started using Exadel Tiggr mockups. It is an online mockup tool, very easy to use and the closest design I can deliver it to the client before develop the product. Components like, text box, table, tabs, panels are very real looking. 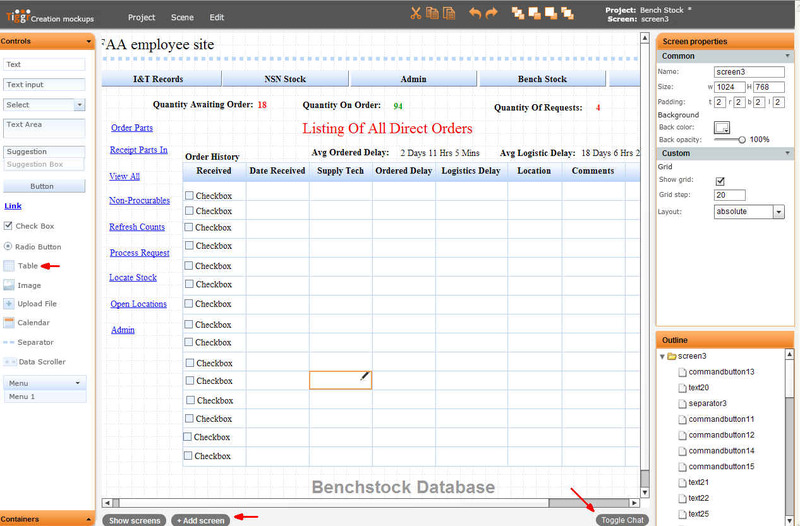 We are using JSF Richfaces implementations so; it does make sense to use Tiggr during mockups building. Another cool feature that I love the most; it is a pure online-based tool, which eliminates all download and configurations issues. Tiggr creates shares and collaborate mockups with any number of designers, developers, project manager, scrum master ….. you name it. Had a great training on Spring 3.0 from Craig Walls. Here are highlighted topics. It was good to see ROO (Real Object Oriented) in action, just few commands, created the whole application, entity, controller, wiring and packaged up the application which was ready to deploy. Great tutorial from Ben Alex to build wedding RSVP app using ROO. 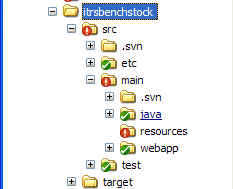 One simple command created these following basic app hierarchy. I was honored to give a presentation at the University of Central Oklahoma Computer Science department on Java Server Faces. I was invited by Dr. Sung who teaches Java Server Programming and also he is my java guru. I took my first java class with him 10 years ago (man I am getting old …) while I was finishing up my degree. Anyway, it was a great experience. I was little nervous standing front of a class specially front of Dr. Sung and preach about a java framework. It went really well, I believe. Dr. Sung and along with students seemed to enjoy the presentations and I was happy to deliver my materials as well.